This is a Lutheran Church located in the older part of the city. 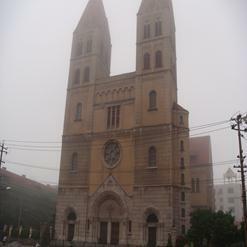 It was built in 1910, and has an auditorium and bell tower, both of which are open to visitors. The bell is original and was brought from Germany specifically for the church.